We’d love your help. Let us know what’s wrong with this preview of Seasons of Tomorrow by Cindy Woodsmall. To ask other readers questions about Seasons of Tomorrow, please sign up. 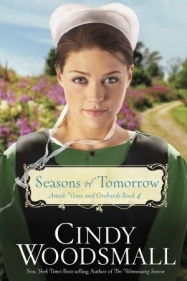 SEASONS OF TOMORROW is book 4 in Ms. Woodsmall’s Amish Vines and Orchards Series, and readers should read the previous books in this series as they do not stand alone. They are: A Season for Tending, The Winnowing Season, For Every Season, and SEASONS OF TOMORROW. Books that have long series that you have to read in order are not things I’m fans of, especially when six months or more pass between books. I like to wait until they are all out to read them. I wasn’t able to do that with this series, but I was able to quickly remember what happened prior and go from there. There are four different stories going on in this book with five different point of views. Stephen and Phoebe, Samuel and Rhoda, Jacob and Esther, and Leah and Landon. Samuel, Rhoda, Jacob, Leah and Landon were point of view characters. There are also other secondary characters so readers who get confused with more than three or four characters might want to keep the character list bookmarked so its handy (at the back of the book) to keep people straight. This book started out skim worthy, but about halfway through it caught my interest and I read through to the end. I enjoyed the last half of the book very much, raising my initial thoughts of “3 stars” up to 4 stars. Amish women’s fiction fans or fans of Cindy Woodsmall might enjoy this book. 4 stars. Available in ebook, hardcover, audio, and paperback. 336 pages. This book is a wonderful ending the 4 part story. After several more prob!ems, almost losing one of the main characters everything comes to a great ending. I recommend this series to all who like good Amish books. I was actually sad to see this series come to an end. The characters were like well-known friends that you want to keep up with. The author did a wonderful job of wrapping up the story lines of each character. Some things didn't turn out the way I thought they would, but I was pleased with the ending. This is a wonderful series about purpose, God's gifting, the pain and grief of life, healing, forgiveness, family, friends, and community. I enjoyed it immensely. WOW! This series has always held LOTS of drama and turmoil for it's characters, but the first three books were NOTHING compared to this one!!! This is a book that I've read off and on for a while and part of the reason is because I would come across a chapter that was so emotional and tragic I had to take a break! This book and it's series is definitely NOT a stand alone and really needs to be read in order, in my opinion. But even though there were times when I had to take a break there were al WOW! This series has always held LOTS of drama and turmoil for it's characters, but the first three books were NOTHING compared to this one!!! This is a book that I've read off and on for a while and part of the reason is because I would come across a chapter that was so emotional and tragic I had to take a break! This book and it's series is definitely NOT a stand alone and really needs to be read in order, in my opinion. But even though there were times when I had to take a break there were also such fabulous and amazing Faith scenes that touched my heart!!!! Overall even though this book was emotionally taxing at times the Faith messages, especially towards the end, are FANTASTIC and I, and I'm sure other followers of the series, will be very happy with the way Cindy wraps all of these characters up and draws them all together in this conclusion! :) I really enjoyed where this book ended!!! This has been one of my all-time favorite series and this one was no exception among the four books. Rhoda is highly misunderstood and mistreated due to her gift of "knowing" or "intuition" in my opinion. I think the church needs to be more understanding of her. Jacob also seems to be rather misunderstood, even by his own family. In this book, he is hurt in a deep and lasting way. I truly feel for him and was rooting for his happiness as I read. Landon and Leah's relationship seems destined for This has been one of my all-time favorite series and this one was no exception among the four books. Rhoda is highly misunderstood and mistreated due to her gift of "knowing" or "intuition" in my opinion. I think the church needs to be more understanding of her. Jacob also seems to be rather misunderstood, even by his own family. In this book, he is hurt in a deep and lasting way. I truly feel for him and was rooting for his happiness as I read. Landon and Leah's relationship seems destined for heartache as well. Can any of these characters catch a break? Cindy tops off a great book with some amazing apple recipes featured in the book on the Apple Orchard and perfected by Rhoda. I can hardly wait to try out some of these recipes. Yummy apples! I love the book and highly recommend it to readers. 5 Stars all the way!!! Rhoda and Sam have more trials to overcome in their Amish settlement in Maine. As they lose help when Jacob and Landon leave for different reasons, Leah must decide where God wants her and Jojo decides if her child should meet the father's family. I feel like this was a really good book, I just don't know how I feel about the conclusion being all happy for everyone as if there is a fix for all problems, though I get it, I really do. Rhoda isn't really even the main character in this book like she had been for the other books, which is probably why this is not as highly rated by me as I would like to rate it. If you know how the last book ended before this one, then you know the situation that happened between Rhoda, Jacob, and Samuel. There whole thing is just odd as it is. It is hard to really wrap myself around the idea of things being as easy for them as it was with the transition. Leah and Landon's story was well done in this. I enjoyed it all the way through. It showed such growth and hardships and love. I feel the way they wrote Iva into this story from how things seemed to be going in the previous story, they pretty much kicked her out of the story almost completely. I honestly felt that she and Jacob were forming a small bond last book, but that was not a thing in this at all. It was odd. There is a new character in this story too. Esther. She likes working with wood, likes to travel, and takes care of pregnant girls/women. Se is certainly not a typical Amish woman at all and reminds me far too much of Rhoda with her independence. Also, why is Rhoda such a bad cook while they made a big deal of the different recipes she made that included apples in the first couple of books? Sincerely that didn't make sense to me that she was perfectly fine with baking things beautifully but can barely make scrambled eggs in this?? One other problem I had with this book. Samuel and Jacob's father has always been a bit demanding and gives into rumors wholeheartedly and is against Rhoda, yet with all his issues against her he would allow one of his sons to marry her and they don't have him causing more strife when at the wedding? I mean, I get the conversation he had with Samuel about seeing the log in his own eye sort of deal, but he is a stubborn man who didn't seem really open to such things. About two-thirds of the way into this last installment, I was ready for it to end. When it did, it was Disneyesque and much too slap-happy for me. I felt the author was hurrying up, wanting it to end too. That last chapter ... a couple of years passed between it and the previous chapter. How neat that all the major loose ends are tied by the series' end. So unlike real life. There were several typos, not bad, but I got the feeling the editors were getting tired near the end as there were bigger e About two-thirds of the way into this last installment, I was ready for it to end. When it did, it was Disneyesque and much too slap-happy for me. I felt the author was hurrying up, wanting it to end too. That last chapter ... a couple of years passed between it and the previous chapter. How neat that all the major loose ends are tied by the series' end. So unlike real life. Chapter 36: I've no idea whose head we're in until the sixth paragraph. On the very next page, there's a paragraph of dialogue with no attribution. I have to guess it's Stephen speaking. Near the end of Chapter 37 Rhoda hands the reins to Samuel. Near the start of Chapter 38 (same scene), Samuel takes the reins from Rhoda. There's no mention of her reacquiring them in-between hand-offs. I enjoyed reading Seasons of Tomorrow; I actually read it in one day. This was a good ending to the Amish Vines and Orchards series. I really liked how all the characters changed and grew for the better since reading the first book of the series. The only thing that bothered me was how the author wrote that Rhoda’s gift of intuition was supposed to be from God. While I agree that God does show Christians things we need to do or pray for about our future and from our past, Rhoda’s gift seemed mor I enjoyed reading Seasons of Tomorrow; I actually read it in one day. This was a good ending to the Amish Vines and Orchards series. I really liked how all the characters changed and grew for the better since reading the first book of the series. The only thing that bothered me was how the author wrote that Rhoda’s gift of intuition was supposed to be from God. While I agree that God does show Christians things we need to do or pray for about our future and from our past, Rhoda’s gift seemed more like fortune telling to me. Each chapter of Seasons of Tomorrow goes back and forth between the viewpoints of different people. Even though there are several main characters the story easily switches back and forth between their perspectives. While reading the previous books in the series isn’t necessary to understand all that is going on, I would recommend them. I enjoyed the entire series and am sad to see it come to an end. I received a free copy of this book from the Christian Manifesto and WaterBrook/Multnomah in exchange for my honest review. I love happy endings! The suspense was a little redundant at times! It certainly showed that God is good in all situations as long as you follow Him. The suspense was a little redundant at times! It certainly showed that God is good in all situations as long as we follow Him. I love happy endings. God, friendship and love 💘. What more could any one ask for. I loved this series. I feel that I understand the Amish so much better. Cindy Woodsmall gives life and meaning to all of the people in her books. She shows the bad and the good in their faith. I enjoyed all of the characters and will be reading more of her books. I love, love, love this series. I wish it could continue but I guess everything has happened that the reader would want to happen. I felt I knew each character as if they were family. I hate to say goodbye but since I usually read my books again after a year or so, I'll get to visit them again. Great job by Ms. Woodsmall. Thank God I decided to finish the series! The third book dragged on but the fourth was a breath of fresh air. I only had a few opportunities to read but each time I devoured a hundred pages like it was nothing. And while it does have an ending it still is open enough to continue on. Though I really like this story line, this book was a little bit of a letdown. It did show aspects of Amish life that isn't often displayed or discussed, but some of the transitions were either too quick or not developed enough. Otherwise, a good story. Great book, whole series is amazing! listened to this a while ago but didn't get it marked as finished. She tells you the story, what has happened so far in the previous books of her series. Very helpful when so many plots/characters. The divine gift on intuition and insight that Rhoda Byler has been given to her by God, have many in the Amish community Orchard Bend, Maine questioning its validity. Most of the Old Order Amish believe that she is practicing witchcraft when the visions she has come true without any knowledge of just how she knows these things before they happen. Even Rhoda herself can't explain them, just that she does. Most of the times, she keeps these visions to herself because of the accusations being waged against her by her own people, most vocal by Samuel and Jacob King's father. They have moved from Pennsylvania to begin a new community and to establish Orchard Bend Farms, an apple orchard and canning business and have partnered with Rhoda Byler in part to her knowledge and experience in organic growing and tending the orchards. She was also in love with Jacob at one point believing they would be married. But over time, secrets have caused a great divide between them. Jacob has a past that he has kept secret which involves another woman, Sandra and her daughter Casey and placed them all in legal hot water. When Rhoda herself wound up dealing with her own set of legal issues, instead of standing by her, Jacob left in an attempt to keep his secrets from hampering her investigation. Yet what they did was to cause Rhoda to gain support from Samuel, his brother, and over time, they both began to develop feelings for one another. Even though they tried to deny their feelings, eventually all three realized that the relationship between Jacob and Rhoda would never amount to what a marriage should be based on and Jacob called it off. Instead of resolving his bitterness against Samuel and Rhoda, Jacob moved away to give them all time to heal. Now that the orchard is in full swing getting read for spring, an unforeseen tragedy will test everyone involved in unprecedented ways. Samuel's sister Leah is struggling with her own romantic feelings for Landon, an Englischer that was hired by Rhoda as her assistant to help build the business. Even though he understands the complications facing Leah by their love, he can't help but wonder if God has bigger plans in store for them. If they don't keep their feelings out of the public eye, Leah could face shunning by her community as well as bring down the orchard business for Rhoda and the King family if they get rid of Landon. They too could face shunning from their community for letting an Englischer causing one of their own to fall astray. But Leah is starting to come to an understanding of God's love through her faith by attending Landon's church and believes God might be calling her in a different direction. Once again if she walks away from her Amish faith, and leaves with Landon it will jeopardize more than just Orchard Bend Farms but isolate herself from her support system as well. This series of books was a wonderful read! Throughout the four books, were liberally sprinkled romance, suspense, and faith. I truly enjoyed getting to know the Byler and King families! Inspirational Amish read that includes diversity, hardship, faith, and family bonds. I didn't want this book to end. I had read the first three in the series, but this was the best. The recurring theme is God's rules vs man's rules. This final book in the series brought everything together without leaving you hanging in relation to any of the characters. I really enjoyed this series. I enjoyed this book and the entire series. So well written the characters capture your heart. The narrator, Stina Nielsen is so good the characters come alive. Conflicts resolved, faith strengthened. New loves and family reunited. The divine gift on intuition and insight that Rhoda Byler has been given to her by God, have many in the Amish community Orchard Bend, Maine questioning its validity. Most of the Old Order Amish believe that she is practicing witchcraft when the visions she has come true without any knowledge of just how she knows these things before they happen. Even Rhoda herself can't explain them, just that she does. Most of the times, she keeps these visions to herself because of the accusations being waged The divine gift on intuition and insight that Rhoda Byler has been given to her by God, have many in the Amish community Orchard Bend, Maine questioning its validity. Most of the Old Order Amish believe that she is practicing witchcraft when the visions she has come true without any knowledge of just how she knows these things before they happen. Even Rhoda herself can't explain them, just that she does. Most of the times, she keeps these visions to herself because of the accusations being waged against her by her own people, most vocal by Samuel and Jacob King's father. They have moved from Pennsylvania to begin a new community and to establish Orchard Bend Farms, an apple orchard and canning business and have partnered with Rhoda Byler in part to her knowledge and experience in organic growing and tending the orchards. She was also in love with Jacob at one point believing they would be married. This book is exceptional. Cindy Woodsmall is never a disappointment. I have loved every single book I’ve ever read by her. I was a little sad that this book wrapped up the Amish Vines and Orchards series because I really enjoyed the main character, Rhoda. I think I could have read a few more installments at least. She’s just so quirky but also has that sad and mysterious side to her that makes me feel protective of her even…can you feel protective of a book character? I hope so, because I can’t help how I feel! I was very pleased with this book, even if my heart nearly stopped a couple of times out of fear and anticipation. Cindy definitely knows how to work my emotions! I suppose that is one reason I enjoy reading her books so much! Rhoda is still feared by many of the Amish for her unique gift of insight. It doesn’t help that she’s also fallen in love with Samuel, choosing to let go of his brother, Jacob. It makes for a sticky situation and people are just so quick to judge. Further, Leah is struggling with her faith and with her desire to commit to the Amish church and community. Of course, blame seems to fall back on Rhoda, even though she’s done nothing to encourage Leah to leave the faith. In the midst of everything else going on, there’s also the little fact that Jacob is so very hurt and he feels betrayed by Rhoda and by Samuel. Rhoda and Samuel both struggle to know if they should deny each other their love out of respect for Jacob. A good part of this book is all about forgiveness and also with being able to look back on situations and in great wisdom know that things have worked out for the betterment of all the parties involved. Amish Vines and Orchards is a unique story that will pull you in and make you fall hopelessly in love with each and every character. They are solid and very genuine characters that don’t feel like silly ole book characters. 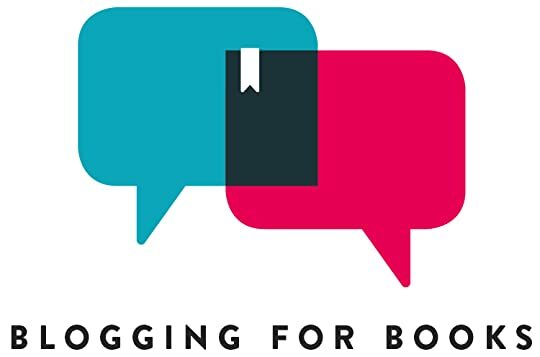 They feel real and for me…that’s a book that is a hit! I received Seasons of Tomorrow as a complimentary gift in exchange for an honest review from Waterbrook Multnomah Publishers. I was not required to write a positive review. My comments and opinions are my own. Rhoda Byler and Samuel King are co-owners of the Orchard Bend Farms along with Samuel's brother Jacob. The three became entangled in a bitter estrangement after Rhoda and Samuel fell in love - even though Rhoda was seeing Jacob. That was several months ago and like the seasons, life changes and continues. The spirited young woman has healed somewhat from the break-up and is determined to see the farm grow successfully. Her God given gift of 'profound intuition' has become less of an issue as Samu Rhoda Byler and Samuel King are co-owners of the Orchard Bend Farms along with Samuel's brother Jacob. The three became entangled in a bitter estrangement after Rhoda and Samuel fell in love - even though Rhoda was seeing Jacob. That was several months ago and like the seasons, life changes and continues. The spirited young woman has healed somewhat from the break-up and is determined to see the farm grow successfully. Her God given gift of 'profound intuition' has become less of an issue as Samuel is the strength to her understanding of the present bestowed upon her. Whilst the new couple toil the land, Jacob is taking on construction work and trying, with God's grace, to not become bitter about losing his girl to his brother. When he meets a vibrant, confident woman known affectionately as 'Shark Bait' the wounded man begins to believe that having a real friend and friendship is important to a meaningful and fulfilling life. Winter turns to spring to summer all too soon and things are about to take a turn for the worse. Phoebe, Rhoda's sister in law, is expecting and the younger sister of Samuel, Leah, has fallen in love with the Englisher Landon Olson. They've managed to keep it a secret but as more Amish families have moved into Maine there's no telling who may have seen them together. Therefore, it's no surprise when her Daed comes to the farm guns blazing demanding she return to Pennsylvania. But a sudden tragedy strikes and their faith is severely tested. Rhoda and Samuel are losing their help quickly and with the harvest soon upon them they turn to Jacob for help. Will the past hurt prevent his return and end their dreams of starting a new community in Maine? The final book in the series sees the gutsy and passionate Rhodes finally in a relationship where her gifts are not only understood but accepted. Jacob slowly finds peace with what has happened yet there are hints of his mistrust of strong and courageous women. Is this really the path that God has chosen for them? When asked to return to help he's unsure of how he will react. Can the the three move past their bruised hearts and become friends once again? And will Leah be able to make the tough decision of leaving the Amish faith? Another thoroughly enjoyable novel from the Vines and Orchards range. Romance abounds in addition to being detailed with raw and honest emotions. Woodsmall's book is articulate and expressive and completely engrossing. Beautifully written, book four provides a satisfying conclusion to the series without being rushed. It's sad to say goodbye to such well thought out and realistic characters as well as an inspiring story, I shall miss them! A very highly recommended read.